A 13-kilometre individual time trial on the banks of the Rhine in German city Düsseldorf will start the 2017 Tour de France on July 1. 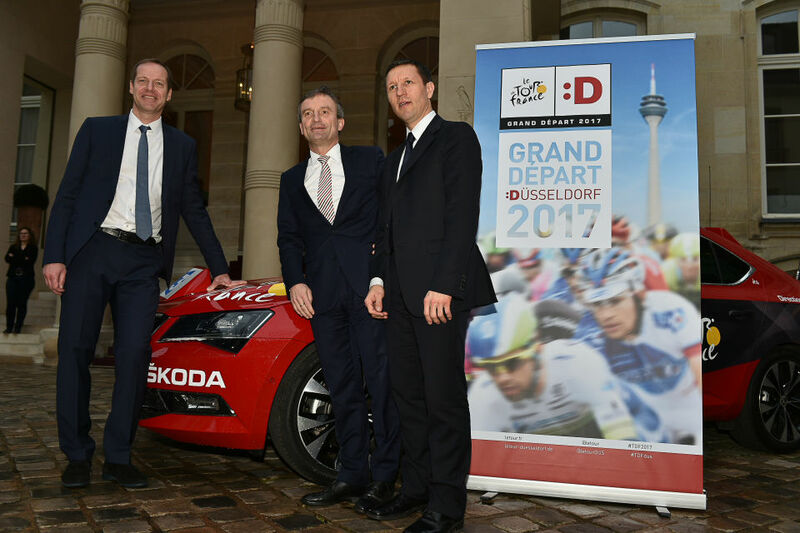 The news follows Düsseldorf’s successful bid to host the opening stages of the French grand tour last month. 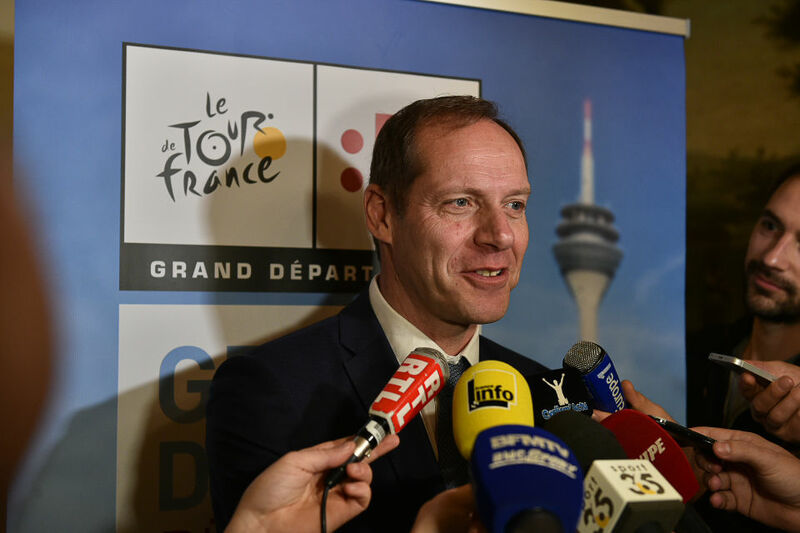 Organiser Amaury Sport Organisation (ASO) confirmed the opening stages of the 2017 Tour on Thursday morning at a press conference in Paris. Another press conference will take place in Düsseldorf itself later today. The 2017 Tour had originally been scheduled to start in London, but the bid was withdrawn at an advanced stage for financial reasons, opening the way for Düsseldorf to step in. “Based on the stage profile, Tony Martin has the best shot at wearing the legendary yellow jersey in his home country at the end of the opening day,” read a press release. “The stage will start opposite the Messe fair grounds, following which the riders will roll down the banks of the Rhine for several kilometres before crossing it twice and heading for Königsallee, the city’s most iconic street. 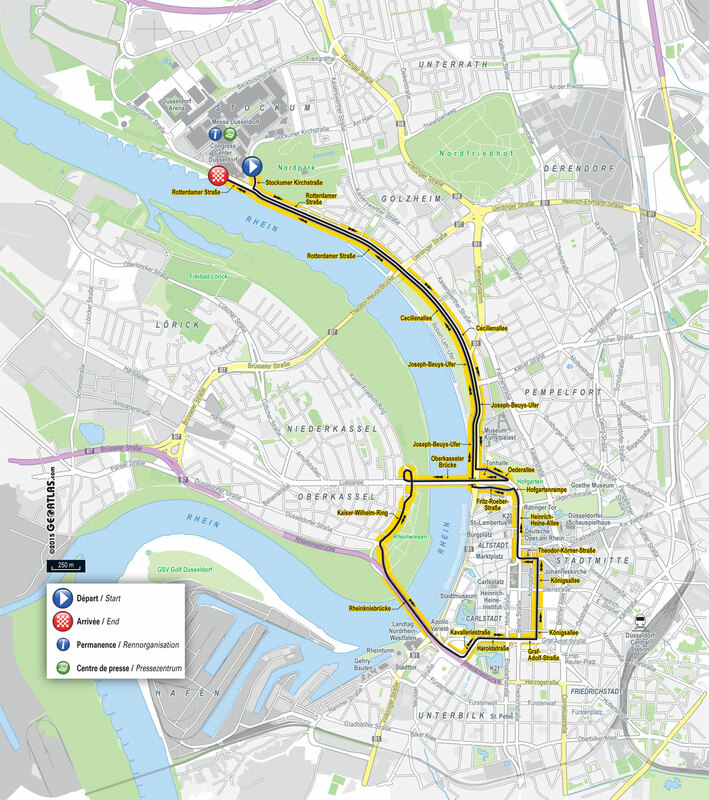 The first road stage, stage two, will also begin in Düsseldorf with a loop around the city’s east to Mettmann. ASO, however, did not say where the day will end. One additional stage is expected in Germany before re-entry into the Tour’s motherland, possibly near Metz. It is the first time that Germany will host the Tour’s Grand Départ since West Berlin in 1987. It comes on the heels of a German cycling renaissance with Martin, Marcel Kittel, and John Degenkolb winning all over the globe and teams Giant-Alpecin, Bora-Argon 18, and Stölting Service Group emerging. “Germany is back in the game!” wrote 2015 Milan-San Remo and Paris-Roubaix winner, Degenkolb after the Düsseldorf announcement last month. The country suffered from Operación Puerto and various doping cases involving stars Jan Ulrich and Erik Zabel. Only last year did public broadcaster ARD return to air the Tour. It was a success with Germany taking home six stage wins. “Germany is ready to write a glorious new chapter in the history of the biggest cycling race in the world,” read the press release today. The 2015 Tour began with a time trial in Utrecht, the Netherlands, that Australian Rohan Dennis (BMC Racing) won ahead of German three-time world champion Martin (Etixx-QuickStep). This year’s Tour will start in Northwest France with a road stage that Mark Cavendish (Dimension Data) is aiming to win for the yellow jersey.